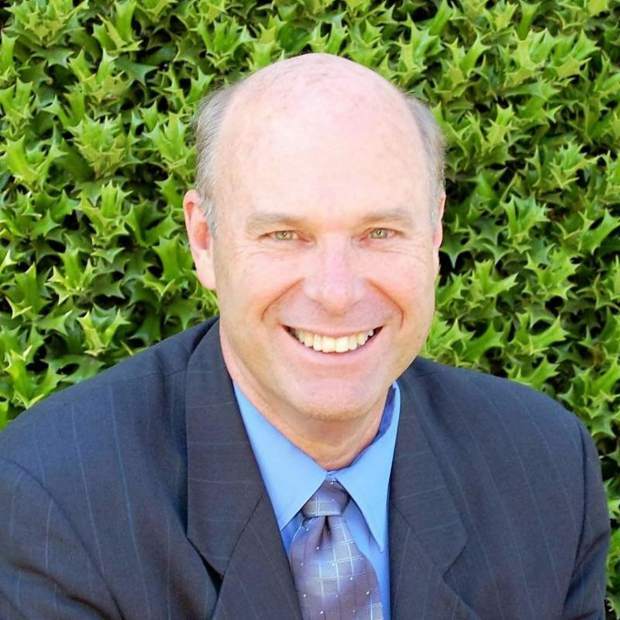 Former El Dorado County Superior Court Judge Steven C. Bailey, who announced last fall that he is running for California attorney general in this year’s election, has become the target of the state Commission on Judicial Performance, which this week launched formal proceedings alleging misconduct by the retired judge. While the filing of the proceedings “is not a determination of judicial misconduct,” according to a press release issued Wednesday by the commission, the action outlines 11 instances where Bailey, who retired in 2017, misused his judicial office. The allegations charge willful misconduct and “conduct prejudicial to the administration of justice that brings the judicial office into disrepute.” If found true, the charges could provide for the “removal, censure or public or private admonishment of a judge or former judge,” according to the notice of formal proceedings filed in the inquiry. The Commission on Judicial Performance routinely holds Superior Court judges’ feet to the fire when there are reasons to suspect misconduct, but rarely does the action involve a judge who already is retired, according to research by the Mountain Democrat. Gregory Dresser, director-chief counsel for the San Francisco-based commission, said he is not certain of the percentage of judges who come under formal proceedings who are retired, but he added that he “know(s) of two.” The commission typically issues press releases regarding its findings and at least a dozen notifications of action regarding Superior Court judges statewide annually reach the Mountain Democrat’s editorial department. Dresser told the newspaper the decision to pursue allegations against Bailey “are not political” despite the timing being in the midst of a campaign leading up to the June primary. Given the same benefit of “innocent until proven guilty” that so many defendants enjoyed in Judge Bailey’s court, the commission states that a “preliminary investigation” led to that body concluding that formal proceedings should be launched. The press release that was posted to the commission’s website does not indicate what might have led to the initial investigation, but the charges run the gamut from using his judge’s status in testimonials for a private survey firm to nepotism stemming from the magistrate’s son working for a business that benefitted from Bailey’s rulings. As a sitting judge since 2008, Bailey often would order defendants to become involved in a monitoring program called SCRAM, run by CHI Monitoring of Placerville. Defendants basically pay for the monitoring service, commonly known as wearing an “ankle bracelet,” instead of being jailed. The judge in ordering numerous defendants to enroll with CHI often failed to note for the record that his son was employed there, according to the counts delineated by the Commission on Judicial Performance. When CHI clients failed to pay, Judge Bailey misused his authority to order the balance be paid as “victim restitution” when the monitoring firm is not a legal “victim” as outlined by the courts. The charges also contend that Bailey directed potential clients to attorneys who were personal friends of the judge, without proper disclosure of that fact. Listed in another count, gifts ranging in worth from $35 to $200 and including mostly tickets to various functions. Bailey’s acceptance of such freebies to attend events including fundraisers like the MORE and CASA annual shindigs was a violation of the Code of Judicial Ethics, the commission states. The counts also allege that while sitting as judge, Bailey failed to properly report travel payments, advances or reimbursements from schools and other venues where he participated in judicial education programs. The retired judge, who sat mostly in South Lake Tahoe courts, also is taken to task for comments he allegedly made regarding gay men having good taste in how to dress properly. Bailey reportedly was responding to a compliment about a shirt he was wearing, explaining that a gay man in Paris had picked it out; the conversation occurred in a court staff member’s office and was heard by two other judges, according to that particular count. Regarding this year’s race for state attorney general, one of the counts alleges that Bailey used his judicial status to raise campaign funding, prior to retirement and “without taking a leave of absence.” Again, a violation of judicial ethics, the documents state. By the time Bailey filed his intention statement regarding running for the AG’s office, he already had nearly $20,000 in campaign contributions, another count states, which is against the law. Bailey also was too liberal in connecting his service as a judge to the fact he wants to be the state’s attorney general, even including a gavel as background in some campaign materials, according to another count. The allegations also find fault with Bailey allowing a colleague who posted the fact that he is seeking to be attorney general on her law firm’s website, basically saying that her “friend Judge Steve Bailey is running for California Attorney General …” and featuring two photos that include Bailey. Despite becoming aware of the improper posting, Bailey did not ask that it be removed, violating judicial ethics, according to that count. Bailey is one of five announced candidates seeking the state’s highest law enforcement post, including incumbent Xavier Becerra, a Democrat who was appointed by Gov. Jerry Brown in November 2016. State Insurance Commissioner Dave Jones also has declared his candidacy along with two others, Eric Early and Adrianne Bracciale, with a candidate filing deadline of March 9. California’s primary election is June 5. Bailey could not be reached for comment although a message was left on his cell phone, with his attorney James A. Murphy of San Francisco referring all press inquiries to his client’s campaign offices. The campaign’s communications director, Corey Uhden, issued a statement: “This commission dominated by liberal appointees has merely filed an inquiry that they admit is ‘not a finding of judicial misconduct’ because there is no misconduct to find. “This is simply an attempt to disparage a respected former Superior Court judge and take a shot at the only candidate for attorney general with an extensive background in criminal law. El Dorado County Presiding Judge Suzanne Kingsbury, who has worked closely with Bailey as both sit in Tahoe, told the newspaper it would be improper for her to make a comment regarding the institution of formal proceedings against her colleague. The next step is to convene a hearing conducted by “special masters” appointed by the state Supreme Court, but no ballpark date was offered for when that might occur. Bailey and his accusers will have the opportunity to present views to the Commission on Judicial Performance through written briefs and oral argument. If the commission finds there is clear and convincing evidence of wrongdoing on the part of Bailey, punishment will follow in the form of censure, public admonishment and or private discipline. Charges that are not proved will be dismissed. The commission’s determinations are potentially subject to review by the state Supreme Court should the former judge petition for consideration.